Circadiance, a small business founded in 2008, began producing respiratory medical devices and accessories for people with sleep-disordered breathing who need non-invasive ventilation or require monitoring. 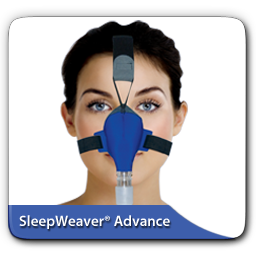 The company entered the market by introducing the world’s first all-cloth respiratory interface, a soft-cloth product known as the Continuous Positive Airway Pressure (CPAP) mask. Based in Pittsburgh, Pa., the company of only 19 quickly began to attract interest from prominent children’s hospitals and various healthcare systems seeking better alternatives to plastic masks. With a product line that includes the SleepWeaver® CPAP masks, SmartMonitor® Infant Apnea Monitors, and NeoPAP® Infant Respiratory Support Systems, Circadiance became a resource for patients in the acute care and home care markets, as well as the global marketplace. The company Began selling to buyers in the United Kingdom, Europe and the Asia Pacific. In 2013 Circadiance learned about the EXIM while working with their local U.S. export office in Pittsburgh to expand their export portfolio. They started using EXIM’s Export Credit Insurance policy to protect their accounts receivable and insure against nonpayment from international buyers. As a result, Circadiance has nearly doubled its workforce over the past year and enjoyed significant growth with their CPAP mask business and the acquisition of the SmartMonitor and NeoPAP products. Now with customers in over 30 countries, Circadiance plans to continue using EXIM’s credit insurance as they grow and expand their reach to other countries in Europe, Asia and the Middle East.